Photography is my main thing, it’s what I’ve studied and what I hope to continue forward as the basis of my career, so there’s nothing I love more than discussing and dissecting all the elements of the subject to keep my cogs going. The more I learn, the more I want to share because photography can be hard to grasp sometimes – especially ISO and Aperture, I’ve only just got my head round that in the past 6 months. If you’re new and looking for a basic guide to photography, you should check out my Essential Tips post which will help you get your images looking totally spot on for any occasion, but if you want something a little more in-depth, then welcome to Essential Tips.2! Whether you need help with shooting your images at optimum times, resizing photos, lens jargon or even help on how to make that image just look super perfect in the moment, I’m adding my 2 cents to the already long list of Photography Tips on the web, and have come up with my own quick-fix guide to show you how to achieve the finish and detail you desire in all your photography. Lenses: What do they do? Lenses are a huge part of photography; essentially the lens does 80-90% of the work, the rest being the camera quality and your eye for the subject. 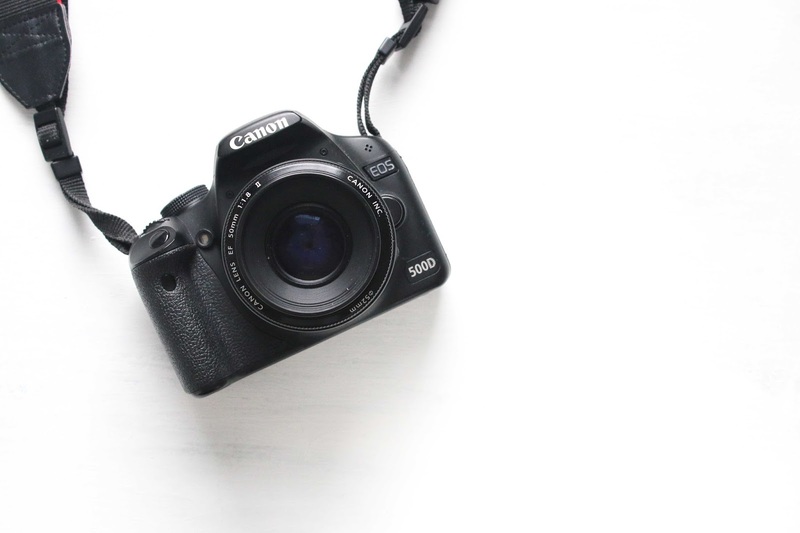 For professional photographers, wide-angle lenses and telephoto portrait lenses are some of the best to go for, but if you’re looking for high-quality blog images, then there a few to look into. 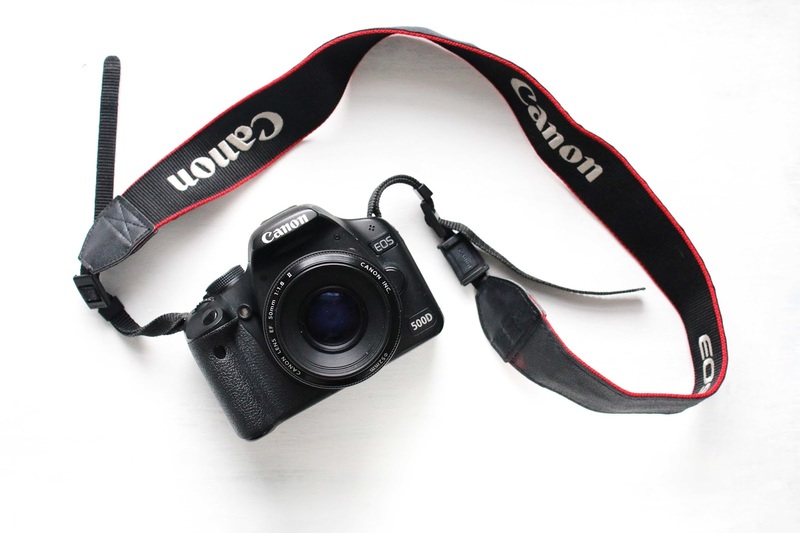 18-55mm Lens – This is the standard lens that comes with most DSLR kits. A wide-angle mid-telephoto lens, this is perfect for capturing a lot of the environment around you and also zooming in close for detail shots. Most have image stabilisation features which allow the quality of your photographs to stay clear even if you jolt a little! 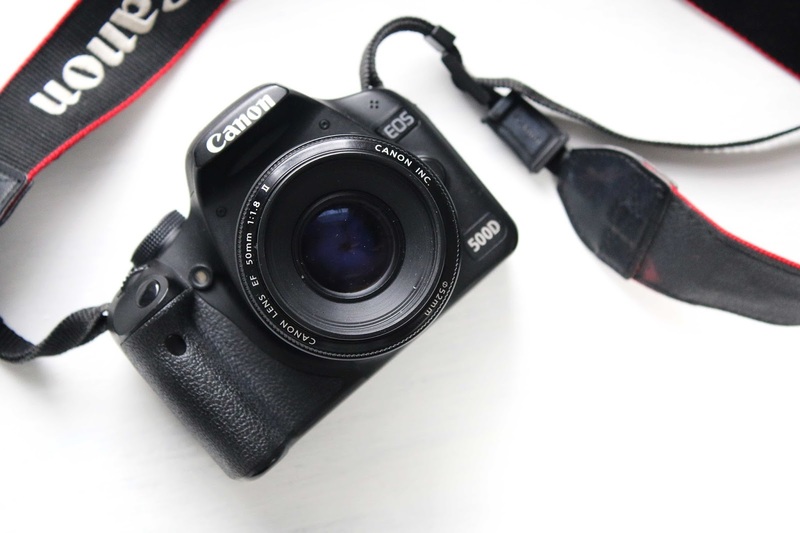 50mm Lens – The 50mm lens is designed to be the same as human vision due to it’s ‘normal’ focal length, and gives a beautiful blur to the items around the photographed subject. Great for low low light situations as it can reach a high aperture setting, it is also super sharp and is more compact and discreet. If you buy one lens, make it this one! Telephoto Lens – A specific lens that has a shorter physical length than the length of focus; the higher the mm number, the more times you can zoom in to the subject – even if you’re far away, you can still get amazing quality! The main point of telephoto lenses is to be able to focus on a subject when you can’t (or shouldn’t, you paps!) and still get clear, crisp photos. Word of warning, the higher the number, the more likely you’ll get camera shake! Pancake Lens – A short-barrelled lens that is compact and flat, and refers for to the shape of the lens rather than the image created. Just like the 50mm, they are fixed-focused and range from 20mm-40mm in length. There is some speculation on the image quality, however, using it for fashion shots on the street is a perfect shout. RAW vs JPEG: What’s the big deal? It’s a pretty big deal! JPEG is a compressed and processed version of your photo, easy to upload but not easy to edit – you won’t be able to work out those shadows without making another part of the image look odd, and there won’t be as much detail as the camera will have balanced it out and set it for you as designed by their settings. RAW is the raw information of the image captured; it is essentially the full detail and quality of everything you captured in the frame, uncompressed and unprocessed which allows you more freedom to edit and adjust the details of your picture more. They can appear flat or dark, but they are much easier to lift and edit on Photoshop or Lightroom due to having all the available information intact from the initial shot. Basically JPEG processes your image within the camera so it is ready to use straight away, making detailed editing harder. There is less detail available and a flatter image produced. RAW is the rawest form of an image, with all the detail available and captured without being compressed – this is why it’s a large file and takes up more space on your memory card. There is more freedom with editing, and more clarity in the finished product. For blog images, RAW is great as you can minimalise shadows more, capture detail in products or subjects, and you can create a more professional finish with little effort. JPEG is still a great method, it works well for holiday pictures and blog photos, but if you want to make your photos look good a certain way, try shooting in RAW. Let’s break this down: ISO is the camera’s sensitivity to light – the higher the ISO, the more light it will pick up in an image, and the lower it is the more shadows that are pronounced. Aperture is the hole in which the light comes through the camera – the smaller the number (F1.4) the larger the hole. Aperture also controls the Depth of Field, so a small aperture creates a larger depth of field and vice versa. Shutter Speed (1/600s) is how long it takes for the camera to open and close on a shot, and how quickly the image is taken. Slow shutter speed (1/30) creates a blur but makes fast moving objects look very soft and fluid, whilst a high SS (1/1000) creates a crisp, clear image, perfect for action shots. Below is a photo taken on different settings, where the ISO, Aperture and F-stop have been changed accordingly to fit the environment. As you can see, the first and last images are not that clear and are either too under or over-exposed, and this is all due to the camera settings. The first image is clearly under-exposed, with the ISO set to 3200, Aperture of F/4.5 and Shutter Speed of 1/800, meaning that there is a short amount of time between the shutter opening and closing, and the Aperture is only able to let in a small amount of light in the time it takes to capture the image. This is because Aperture controls the amount of light that comes into the camera through the hole in the camera, whilst ISO sets the light sensitivity that the camera detects i.e. the higher the ISO, the more light it is able to pick up/expose (leading to brighter or duller images, and also noisier images which become grainier! ), and Shutter Speed is how quickly the image is captured. All three of these work together to create a balanced image that suits your photography task. The final image has the setting ISO 3200, F/4.5 and 1/40 S, which means that all the available light that has been detected by the camera’s sensitivity is exposed, and that through a slower shutter speed, more light is able to make it through the 4.5 sized hole to create a brighter – yet over-exposed – photo. Colour Balance: Why are my images orange? You probably notice an icon that says AWB, and then don’t loot at it again. This icon means Auto White Balance, and basically sets your camera to shoot in a specific light environment – e.g. if it’s dark and the lights are on, you’d select Tungsten Light which generally cancels out the overly orange tones but still doesn’t get rid of them fully. Changing the manual shoot settings can solve this, as usually more light will reduce the tones. If you have trouble, you can get special lenses that cancel out the tones or use Photoshop or PicMonkey to change the temperature of the image through editing. Resizing Images – Why do my photos take so long to load? I have two thoughts on the issue with resizing images – on one hand, the biggest thing that can slow down a webpage loading is the size of its images; anything over 1MB is pretty big and will leave you waiting a few more seconds until it’s all displayed, and can be a bit of a killjoy. It also can on some computers lead to your images suddenly enlarging and taking over the screen (however HTML can stop this from happening), so resizing your images to fit exactly the width of your post is a great idea. It looks clean, neat, and makes loading time a dream, and you can even go one step further and save your images for web (when saving your photos, there should be an option to Save For Web). This makes them optimised for web display, automatically adds alt tags and loads quickly too. Whether it’s a holiday snap or a product review photo, you want the image to look its best. As I mentioned in my 7 Tips for Good Photography post, composition and the rule of thirds is a big, big, big deal. 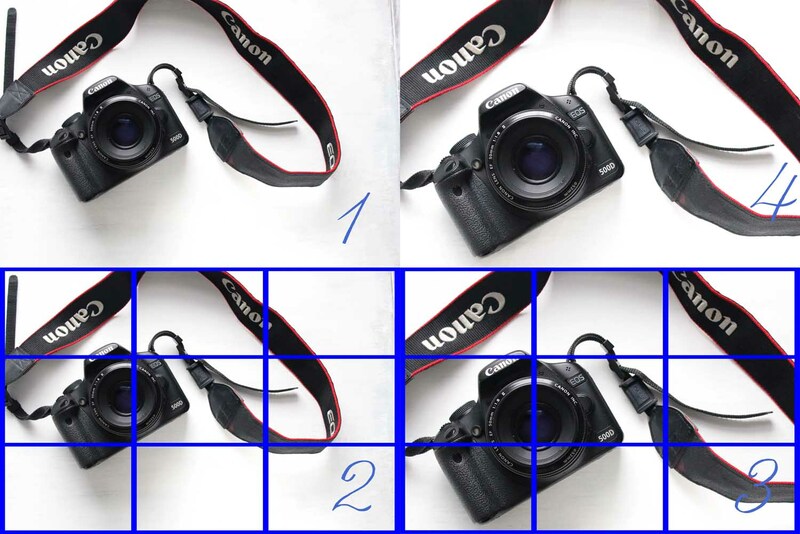 Breaking it down quickly, your image frame is made up of 3×3 equal squares (you can shoot on your cameras with a grid effect, and this is essentially the rule of thirds!) and how the subjects within the frame are positioned is really key. Our brain reads things with balance, so a more aesthetically pleasing image is one that is balanced within the grid. The image on the top left is slightly off, not fitting equally within the frame, and kinda feels a bit meh to look at – not much thought has gone into the set up but it’s an okay start. The top right hand image is our left one cropped and moved within the frame to make it sit equally, and instantly it looks much more thought out and easy to view. I know this can sound a bit much, however if you want your images to capture people’s attention, then you yourself have to pay attention to the details in your image frame. Don’t make the taking of the picture all about it fitting in the frame, as you can see above that a crop and resizing can completely transform the final product – get tweaking and you’ll be amazed by the results. The Magic Hour: Lighting; Not Witchcraft, Just Science! Lighting is one of the biggest things in photography, and now that we’re heading into Spring there’s finally more light hours in the day to capture our images. I have both studio lights and use natural light, however I prefer the latter for my photos as it’s a lot lighter, clearer and bright. Studio lights are great when you want to control an environment or have continuous illumination on a subject, however you can get that edge that looks unnatural – 100% you’re own preference though! If you do use natural light, then the best times to shoot are about 10am to 5pm as the sun reaches the higher points in the sky and isn’t as bright or yellow as it is in the mornings. For atmospheric shots, there is the ‘Magic Hour’ or ‘Golden Hour’, which occurs just after sunrise or before sunset where the sun is still high but the sky turns red – this is due to a drop in the lighting ratio as more of the light comes indirectly from the sun. This is contrasted by the midday sun, which can be quite harsh but gives lots of shadows and highlights and can cause overexposure. Bounce light back in with a mirror – just like a reflector, but you’re more likely to have one at home! This bounces light reflected into the room back into the subject, making it clearer and brighter. Take your photos facing the light – by facing the light, you allow all features of the subject to be illuminated and seen clearly, whilst blocking the sun will create shadow and an overcast. If it’s a bright day, take your photos in the shade – but have the sun facing you! Just like the previous point, facing the sun is great however a bright day causes bleaching and over-exposure, so stand in a shady spot to keep the light balanced but face the direction of the sun to keep the image bright overall. Bright and light backgrounds will add more light in – whether it’s a white table, a painted board, marbled tray or some paper, a light colour will reflect light back into the subject and camera, keeping the subject interesting and eye-catching when people scroll by. Photography can seem daunting, but when you break it down it’s pretty easy to implement into your daily camera life. Whether you shoot on your iPhone or a big DSLR, all these tips can help make your shots become strong pieces of work that grab attention. Utilise light, materials you have at home, and play around with Manual settings, make the process fun and creative and find your flair to reflect your blog and photo style! I’m planning on a few more Photography Tips posts on here, so if there’s an aspect you’d like covered then pop a comment below and I will try my best to explain it in my next post. Until then, get snap happy! What is your approach to Photography? 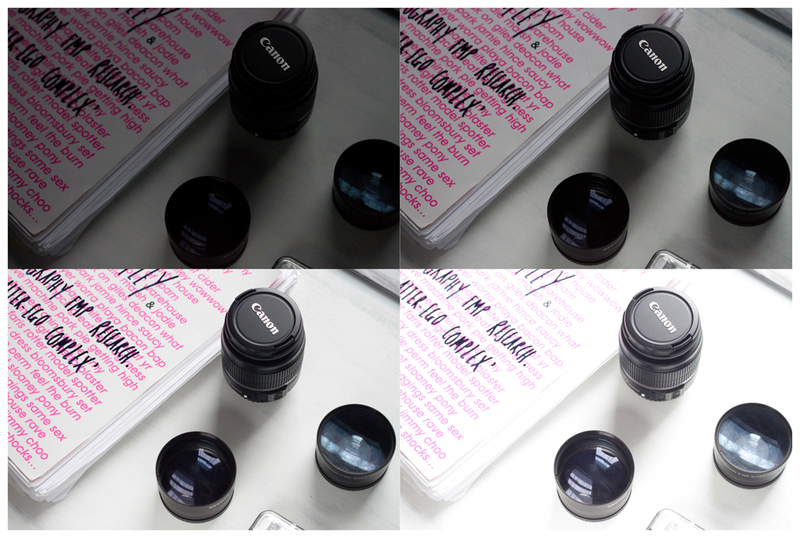 Have you tried any of the lenses mentioned? What do you struggle with when taking photos?